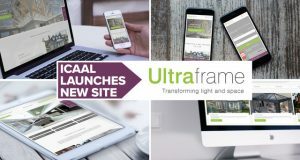 Ultraframe has recently redefined its approach to lead generation by investing in a brand new website and brand refresh. This approach offers customers the chance to browse Ultraframe’s world-leading selection of products in a new, modern way. With rich industry expertise in their stead and innovation in their culture, ICAAL was selected as the digital agency of choice to make this dream website a reality. As the landscape of effective lead generation is constantly evolving, techniques and approaches that once proved effective can slowly but surely become obsolete over time. This is why it was important that Ultraframe recruited the services of an agency that constantly has its ear to the ground, defining its approach by dedicating itself to offering innovative and contemporary lead generation solutions. To ensure the website operated to current standards, ICAAL utilised the latest SEO and development techniques throughout the process. This included a focus on mobile usability, keyword research, optimised content and attention to detail to ensure the user experience (UX) and user interface (UI) were both positive and practical. Focussing on UX plays an imperative role in obtaining not only a notable online presence but also effective lead generation. This has been demonstrated recently with the shift to ‘mobile-first’, with search engines favouring websites that are mobile responsive to those that aren’t. When this factor isn’t considered, the website can be penalised as a result. 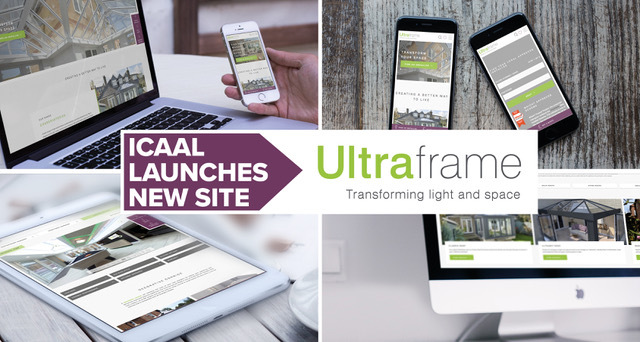 To redefine the browsing experience, ICAAL dedicated themselves to creating a completely immersive platform to showcase Ultraframe products. This included a selection of captivating 360° VR tours, which allow homeowners to experience Ultraframe products from the comfort of their own home. This unique feature has never been seen in the industry before and allows Ultraframe to offer new heights of customer interaction as a result. Other innovative features include a ‘scrapbook’ option, which enables homeowners to compile a selection of their favourite designs in a single place. In turn, they can then show this to their nearest Ultra Installer for reference. This revolutionary element was integrated into the site as a response to the recent growth in image search technology, with ‘buy with your eyes’ platforms such as Pinterest proving to be very popular. Alongside this, the on-site content was updated and created in accordance with advanced market insights, as the ICAAL Content Team undertook detailed and thorough keyword research to assess modern buying trends. This allowed the website to further complement a better user journey, as homeowners are shown what they are looking for in a more intelligent and calculated way.